Even though he hasn't been gone long, I already miss Stephen Colbert. But this absence just increased my excitement upon seeing him on the Instagram account of my second favorite person: Mindy Kaling. Apparently, Stephen Colbert is going to be on The Mindy Project — thus, filling the gigantic, Colbert Report-sized hole in the hearts of millions (at least, until Colbert takes over Late Show). The proof? Even better, it comes from Kaling herself" On Friday night, Mindy Kaling posted an Instagram of her and Colbert with the caption, "Coming soon to #themindyproject. Father Michael O'Donnell." It means we might have some Colbert to look forward to between shows. Since he won't start at The Late Show until September, I'd love to see him appear in some other acting roles. It marks the arrival of his beard. It means the show might be tackling abortion. Spoiler alert: Mindy Lahiri is pregnant, and though she seems to be ill-equipped, she seems to want to have the baby. It would be a great time for the show to talk about abortion, and I can imagine Danny's Catholicism really playing a role. It could mean a marriage. If Stephen Colbert married Mindy and Danny, everthything would be wonderful and bizarre. 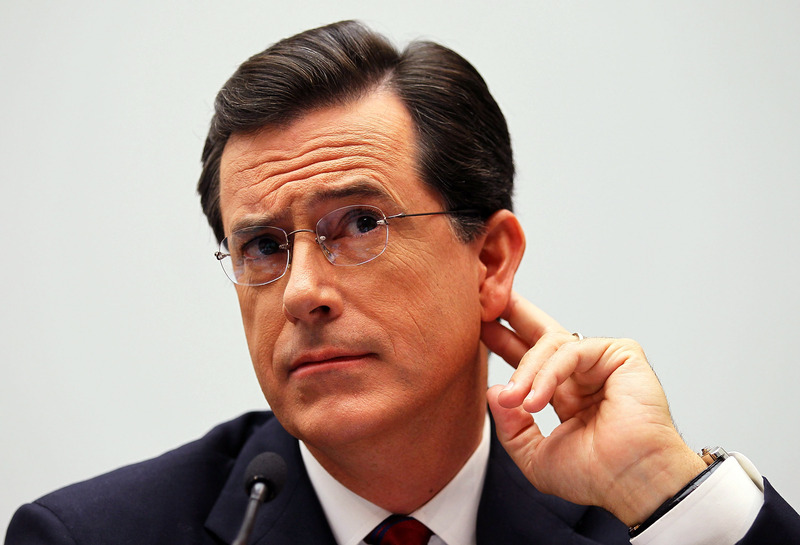 Colbert's signature raised eyebrow is present in the Instagram, like a familiar friend returned. It's a great nod to Colbert's Catholicism. Colbert is a practicing Catholic and Sunday school teacher, and this makes for a great reference.